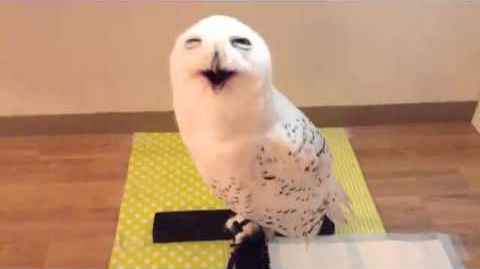 A snowy owl appears to be smiling at this person every time he visits him. This cute owl looks so happy. The owl gives a wide-faced grin, complete with squinty eyes, as the man behind the camera zooms in.